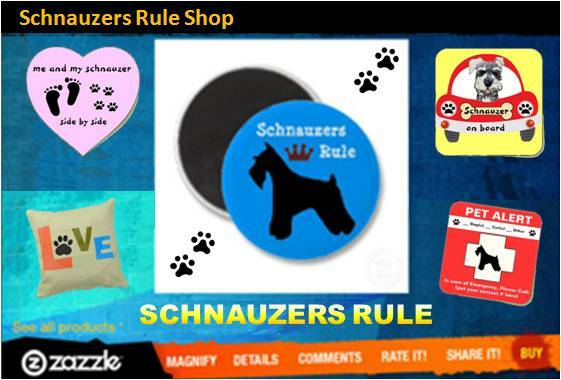 November Schnauzer Contest is now Closed. 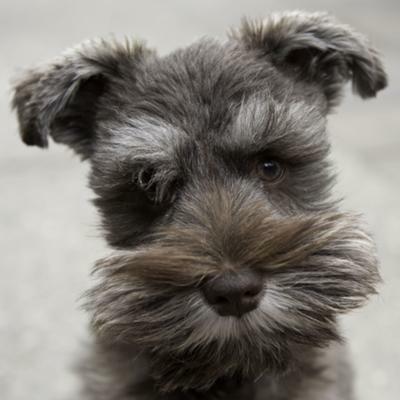 A big thank you to all our contestants for sharing such wonderful photos of your Miniature Schnauzer with us. Judges always have such a difficult task in choosing just one winning photo from so many cuties! Click here to find out all the details on how you can enter your Miniature Schnauzer in our next Schnauzer of the Month photo contest! This picture is of Eden (the light grey one) and Sage (the black and silver.) Eden is 4yrs, and Sage is 20 months old. The stinky, fluffy, jolly bundle of mischief you see here is my three year old Miniature Schnauzer, Archie. Xander was born in the state of Alabama. He and his two brothers traveled all the way to Michigan to be adopted. Mandi is 7 yrs old and has two schnauzer sister Mini and Honey. Mandi loves to run and jump through the back yard and ride in the car. Honey is 3 yrs old and loves to play, play, play. She has two miniature schnauzer sisters, Mini and Mandi. Jasmine is almost 4 and full of Personality!